Several years ago, I participated in a yoga training with internationally recognized yoga and anatomy teacher, Leslie Kaminoff. He offered this teaching in his workshop, "If you want to cut off someone's liberation then make them stop breathing." This resonated so loudly and deeply because asthma attack after asthma attack had given me the experience of liberation being cut off in my body. The sensation of not being able to breathe from an asthma attack is much like the sensation of not being able to breathe because of systems like white supremacy, capitalism, patriarchy, sexism, transphobia, ageism, ableism and all forms of oppression. The breath, an expansive allowance of air in and release of air out is in essence our way to freedom. When we can’t breathe, we die. Prior to the murder of Eric Garner I made a decision to no longer look at the video footage of black lives being extinguished by systems of racism and white supremacy. The videos were simply too traumatic for me. But, after the death of Eric Garner, I was sitting in my private therapy practice office, had a moment before my next client and I watched Eric Garner take his last breath after very clearly letting the police know, he couldn’t breathe. Eric, a lifelong asthmatic, struggled for his last breath and uttered the words, “I can’t breathe,” eleven times. He lay there lifeless as six men placed him on a stretcher, with his leg hanging off, his head flopping from side to side, and his eyes rolled back in his head. A person in the background can be heard asking, “Why ain’t nobody doing CPR?” to which there was no response. Racism isn’t new but at times, I find that my belief in humanity makes me respond to acts of racism with disbelief and surprise. As I watched the video I was stunned because It was clear to me that he was murdered, that the police officers heard him gasping for air and likely felt him dying as they had their hands around his neck, physically and metaphorically. I was saddened that bystanders from the community, didn’t have the agency or option to intervene because if they had, they may have suffered the same fate. After watching the video I sat for a moment, tried to find my breath and then, I had to go teach a lunchtime yoga class. I was contemplating how much to share in class about how heartbroken I was, not only about Eric Garner but all of the black people that can no longer breathe. I had to teach in the midst of it being difficult for me to find my breath. Instead of calling out Eric’s name, I invited the class to breathe deeply and to remember that some people don’t have space to breathe because “oppression takes the breath away.” Prior to the utterance of those words, I thought about how oppression influences one’s emotions, crushes one’s spirit and heart, makes one disconnected from their body and creates depression, anxiety and PTSD. But, I hadn’t ever cued the breath in a yoga class by saying, “oppression takes the breath away.” I am quite sure my students heard me in a different way because the invitation to breathe in a world that isn’t set up for us all to breathe is a paradox that many yogis are not conscious of. Yoga means to “yolk.” It means bringing together things that seem to be in opposition like our mind and body or our heart and spirit. It means living in a world where some have the space to breathe and others breath is being taken away. Yoga means sitting with the discomfort and the paradoxes. Yoga means taking mindful action in activist spaces and creating activism in spiritual spaces in order to respond to the discomfort and paradoxes systems of power, oppression and privilege create. I am an activist who believes that contemplative practice has a place in activist spaces. I am a practitioner of yoga and mindfulness and believe activism must be part of contemplative and spiritual spaces. The practice of mindfulness isn’t separate from activism and the practice of activism isn’t separate from spiritual practice. Most of my contemplative practice has been centered on yoga and meditation. The practice of yoga has taught me to sit with sensation even when it is uncomfortable and to sit with the paradoxes this culture and our history create. Yoga has taught me to notice pain and to decide how I want to respond to it. In the physical practice of yoga, this has meant shifting position or adjusting to find the edge of discomfort and pain and to stay with discomfort. In meditation, my response to pain has been to turn toward it with an awareness that I won’t be swallowed up by it, even if my mind tells me the opposite. In my day to day life, the practice of yoga invites me see the truth of what is happening around me, remember the truth of who I am and who we are as a country and collective. The only way to see truth is to remember history and how this country came to be, which requires us to deconstruct much of our learning about whiteness and race, to dispel the notion that there is a level playing field and to understand how the patterns of racism, white supremacy and oppression are constantly repeating themselves.We must locate ourselves in the systems of oppression, understand the way in which we are privileged and use our agency to make social change. The yoga community in the U.S. has spent time avoiding a conversation about the reason groups of people have systematically been forced to stop breathing and instead, for the most part, has focused on love, light, just letting it go and carrying on. Spiritual bypassing, a term coined by psychiatrist John Welwood, is when people use their spiritual practices to avoid healing their wounds. The institution of yoga has encouraged many of us to engage with the spiritual practice of yoga to escape the harm dominant culture continues to cultivate. We do this by asking students to “just move on”, telling students to “forget everything outside of the yoga space”, and telling students “we are one” without examining all the ways we don’t actually live as one. We bypass by telling students “they are enough” in a world that tells them they are inferior. We spiritually bypass by saying “everything happens for a reason.” Oppression is a system that is calculated and intentional, and we can point to the reasons it persists. Telling a person who is being consistently oppressed by dominant culture that everything happens for a reason further perpetuates their oppression. The more we encourage spiritual practitioners and yogis to turn away from reality the more we perpetuate harm and perpetuating harm is counter to the principles of yoga. When the institution of yoga reflects dominant culture it is taking the breath away and decreasing its capacity to create liberatory spaces and heal our collective wounds. Yoga gives us the opportunity to show up and practice, truth-tell, remember who we could be. It teaches us to sit with the pain of what is while we consider what ought to be-some people can breathe and have space to breathe while others continue to die and struggle to breathe. Whether you are a yoga teacher, spiritual practitioner, activist or person who wants to learn more about power and privilege challenge yourself to be with the paradox and the discomfort and to take action. May we grieve and rebuild from the ashes and bones of the generations of survivors that came before us. May we as a collective consider what kind of world we will leave for the beings whom will come after us. May all beings everywhere be happy and free. May our thoughts words and actions contribute to that happiness and freedom for all. May our world be just. May we all find peace. Want to deepen your understanding of identity, culture, institutional and cultural racism, and internalizations? 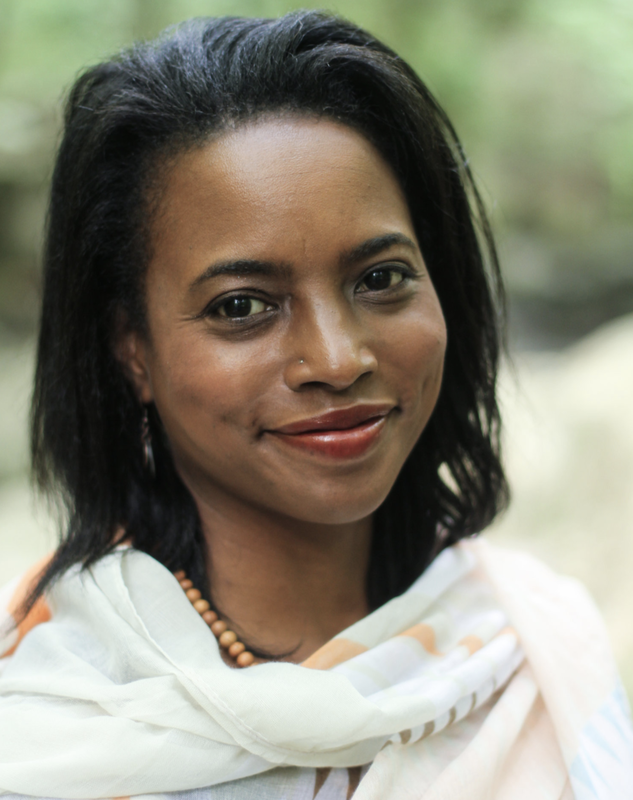 Join our newest Off the Mat Faculty Member, Michelle Cassandra Johnson for a 4-session groundbreaking and transformative workshop on Dismantling Racism and White Supremacy starting on February 5th. Learn how race was constructed, how whiteness functions and how oppression and privilege limit our capacity to be free. Learn more and enroll here. Have you had a political wake up call? Here's what to do next.